Blowout Sale! 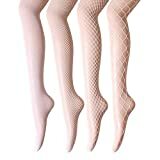 Up to 63% off on Tights at Felicianeo. Top brands include Aschic, VERO MONTE, Bloch, VIV Collection, Lorna Jane, Goode Rider, Hello My Life, Processes, HUE, STYLEGAGA, KalaBear, 1824 Women's Plus Sizes, HLTPRO, Raylans, SPANX, Capezio, & Body Wrappers. Hurry! Limited time offers. Offers valid only while supplies last.